Innovation in athletic training, design and municipal use. That’s what we see as we take a look at the brand-new practice facility for the Minnesota Wild in Saint Paul, Minnesota. 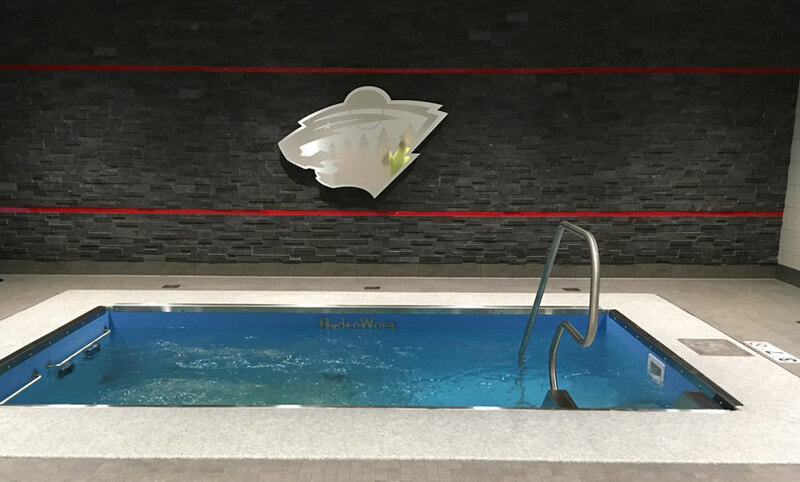 In the spring of 2017, the Saint Paul Port Authority and partners broke ground to renovate a former Macy’s department store into a six-level commercial destination and the Wild’s new practice facility. Ten months later the space hosted its first official Wild practice. The new TRIA Rink at Treasure Island (its official name) demonstrates a commitment from the Wild and the city of Saint Paul to cutting-edge athletic training, design and municipal use. Athletic Training. 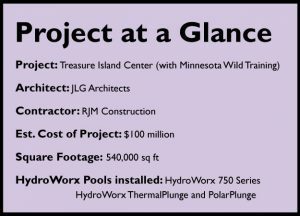 The HydroWorx 750 Series pool, HydroWorx PolarPlunge and ThermalPlunge provide the aquatic therapy offered at the new facility. The pools are housed in a fully-tiled pool room which includes a “video wall” where players can watch, by virtue of an underwater camera, their movement as they rehab and train underwater. Other benefits of the new training space include a weight room three-times the size of their former training area at Xcel Energy Center, a 40-yard dash track, Peloton bikes and much more. Design. This facility isn’t just functional. Check out a short video of project lead Jamie Spencer walking through this stunning space and pointing out, at about minute 2:50, the fully-tiled, state-of-the-art HydroWorx pool room. The entrance, an exact replica of the entrance to the Xcel Energy Center, gives players the “game-day” vibe. A posh players’ lounge, gas fireplace, chef’s kitchen, gaming room and steam room with 9-foot ceilings demonstrate the ownership’s commitment to player health and happiness. See photos of the new space! Municipal Use. What does the world do with its floundering old big box stores? Turn them into multi-use, multi-tenant leased commercial destination complexes! TRIA Rink is on the 5th floor of the Treasure Island Center, which is now positioned to rejuvenate the center of downtown Saint Paul. The arena was constructed as part of a redevelopment effort of Saint Paul and shows another outstanding model of retail space re-use. 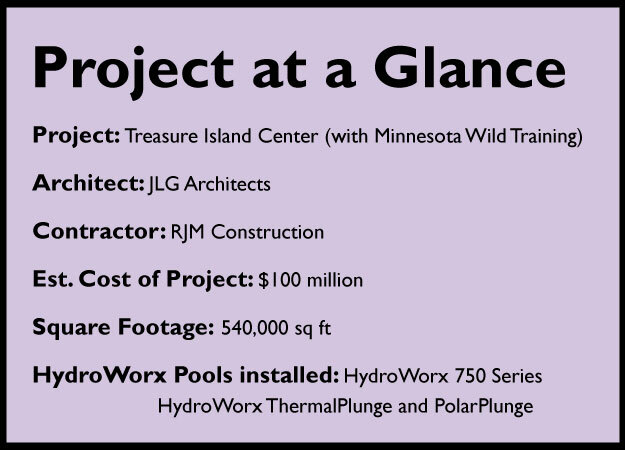 We are proud to be part of both the Wild’s and downtown Saint Paul’s rehabilitation efforts!